Get Rid Of Paint Smells Safely! 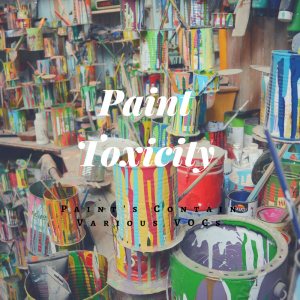 Paint can be a quick and inexpensive way to brighten up a room and give it a new look, but fresh paint can also be a source of toxic chemical exposure. This is why it is important to learn how to get rid of paint smell in a safe and effective manner. In the past, most people with MCS have stayed as far away from fresh paint as possible, but with new formulations and improved air purification technologies, it’s possible to greatly reduce the toxic exposure from interior painting; in fact, keep reading for our top tips to get rid of paint smell asap! Paint is made up of the material that remains on the wall after the it dries, and also a solvent that makes the material liquid so it can be applied to the wall with a brush or sprayer. It’s the solvent that has “that paint smell.” As the solvent evaporates, the smell becomes less and less, until it disappears completely when the paint is fully “cured.” Until it’s cured—which can take from days to months depending on the type—it is slowly releasing fumes of solvent. Most paints contain chemicals that evaporate in the air. The ability of these chemicals to cause health effects varies greatly. 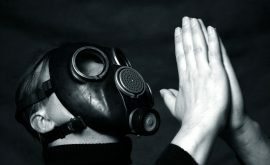 Eye and throat or lung irritation, headaches, dizziness, and vision problems are among the immediate symptoms that some people have experienced soon after exposure to some chemicals. If professional painters who are exposed to high levels of vapors for long periods of time, some chemicals in paints have damaged the nervous system, liver, and kidneys. Some chemicals cause cancer or reproductive and developmental effects in laboratory animals. To understand safest ways to remove toxic paint fumes, get rid of paint smell, and more regarding paint odor eliminators, first, you must know the science behind VOCs and how dangerous they can be to your health. To get rid of paint smell, it is helpful to understand what VOCs are. 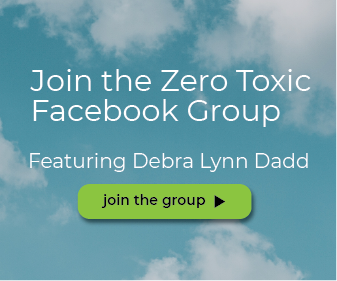 The toxicity is indicated by the measurement of the “fumes” that come off of fresh paint, known collectively as “VOCs” (Volatile Organic Chemicals). These are gasses that are released into the air as the paint dries. VOCs can cause immediate symptoms, including headaches and dizziness (and other symptoms if you have MCS). More than 100 different substances are listed by the EPA as VOCs—including ethanol, benzene, and formaldehyde. Many are known to be toxic or carcinogenic. Often paints contain a mix of various VOCs called “petroleum distillates,” which may be any mix of solvents…whatever type has the best price on the day they are making the mix. You can compare VOC levels by finding the level of VOC content on the label. If it’s not on the label, VOC content should be on the Safety Data Sheet (SDS), available online or from the manufacturer. Eliminating paint odors and vocs and getting rid of paint smell is all in the same. Hopefully, now you understand what VOCs are and what role they plan in the actual paint odor! The degree of harm of paint depends on the amount of VOCs present. VOC levels can be extremely high or eliminated altogether, simply by choosing the right one. The paints with highest VOC levels are oil-based ones (also called solvent-based or alkyd paint). They use mineral spirits or other petroleum distillates as a base to carry the paint solids. Imagine how much harder it is to get rid of paint smells if you select paints with the highest levels of VOCs….! In the past, oil-based paints were the most commonly used ones, but today their sale is limited in some areas. Since 2004, oil-based paints have been banned by the EPA in six states: New York, New Jersey, Pennsylvania, Virginia, Maryland, and the District of Columbia. They were first banned in Los Angeles in 1996 to improve outdoor air quality. Today in many places you can only purchase oil-based paints in quart-sized or smaller containers. While oil-based ones give a beautiful and durable finish, they are slow to dry and can emit VOCs for many months, making it harder to get rid of paint smell! Water based “latex” paints use water in place of a petroleum solvent, dramatically reducing the amount of VOCs. Latex paints are actually not latex at all. Rather they are made from acrylic resins and various types of vinyl. Latex paint is a general term that includes all paints that use synthetic polymers such as acrylic, polyvinyl acetate (PVA), styrene acrylic, and other vinyl to make up the coating. These ones are called “latex” not because they contain latex, but because they look and act like liquid latex rubber. So-called “low-VOC” paints are often made mostly of acrylic. When they were first introduced, low-VOC paints performed poorly, but today they are some of the best options on the market; forgetting worrying about how to get rid of paint smells if you choose this option! More and more water-based paints are now “zero-VOC”. You can even buy them at big box home improvement stores. The thing to watch out for about zero-VOC paints is that when you add standard pigment at the point of sale, the VOC level can climb as high as 150 g/l. Be sure to choose a brand that uses zero-VOC pigments in their zero-VOC paints. With this option, you won’t have to worry as much about paint toxicity or how to get rid of paint smell to begin with! There are also all-natural plant-based paints made from renewable materials such as plant oils and resins. Though natural, some ingredients used in these paints can have odors just as strong, or even stronger than oil-based paints. And they may take longer to cure. The best choice for paint is milk paint and clay paint, which are colored with natural earth pigments. These have no VOCs and are completely nontoxic. These are clearly a great choice and don’t leave you worried about researching a paint odor eliminator. They are also beautiful, with soft finishes and muted colors. In addition to VOCs, some may contain various toxic additives, including preservatives and mildew inhibitors. 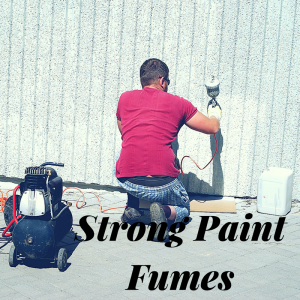 Ask anyone you know what to do about those toxic paint fumes, and they will probably have an opinion. But their idea may or may not work; getting rid of paint smell can be tricky! • DO NOT use a floor fan or an air filter from a big box store. These do not remove VOCs at all. Such air filters remove only particles. • DO NOT mix baking soda in with your mixture to reduce odor. This does not work and reduces the performance of the paint. • DO NOT put plants around to room to eliminate paint fumes. There are a number of plants that do remove toxins from the air and then produce fresh air. While plants can eliminate a small amount of VOCs, they are not adequate to handle the VOCs from painting a room. You would need hundreds of plants. While painting is in progress, keep windows wide open and place an exhaust fan in the window to pull the VOC-filled air out of the room. This will reduce your exposure during the process. If you need to, leave the house altogether until the process is done. After you’ve painted, use an air purifier to remove any VOCs that are outgassing as the paint continues to dry and cure. But you need to make sure that you use an air filter that will remove the gaseous VOCs. Most air filters on the market today remove only particles from the air. Activated carbon filters will remove chemical gasses. They work by adsorption, a process by which the toxic gasses are attracted to and stick to the carbon But there are problems with carbon filters. Since activated carbon simply collects toxic gasses and stores them, when the carbon becomes full of gasses, the gasses can release back into the air. 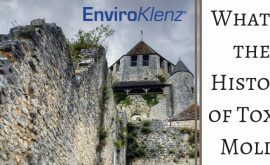 The EnviroKlenz® Process is the scientifically and field proven choice for the safe, rapid, convenient, and cost-effective restoration of indoor spaces from toxic and irritating chemical air pollutants, including but not limited to VOCs that are associated with odors and fumes. When it comes to a paint odor eliminator, this air purifier is an amazing option! 2) destroys/neutralizes the pollutant. The irreversible result is a benign, environmentally safe byproduct and elimination of the unpleasant and potentially dangerous pollutant(s). Carbon is a commonly used material in odor control applications. It absorbs odors; however, it does have several serious disadvantages. Most significantly, carbon only physisorbs odor molecules, meaning that it does not react chemically with the carbon and can release them later and cause the re-emergence of an odor believed to have been neutralized or eliminated. Changes in humidity or temperature can hasten this process, causing the odors to be released back into the air. 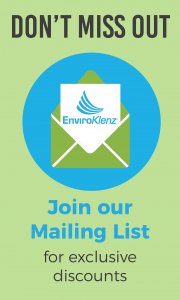 A key benefit to EnviroKlenz technology over another odor removing devices such as carbon is that chemicals are not released into the environment. Ozone, ionizers, and hydroxyl machines generate chemical compounds and release them into the air to counteract the pollutants. Chemical treatment methods like fragrances and fogging products typically “work” by masking the odors. 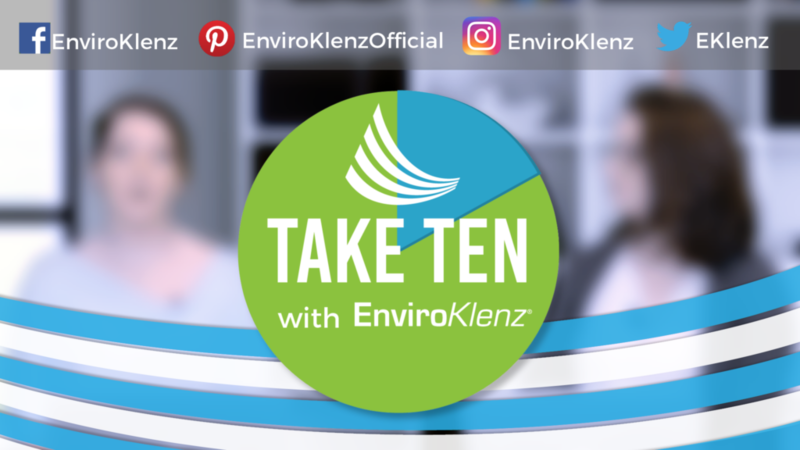 EnviroKlenz has the ability to physically and chemically work against the potentially harmful pollutants and chemicals in the environment without releasing chemicals. Below, you can learn more information about the EnviroKlenz mobile air purifier, especially as paint odor eliminator option. 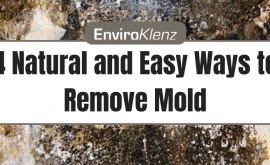 The EnviroKlenz Mobile Air System is your solution to removing VOCs, chemical pollutants from your indoor environment, making it a solid paint odor eliminator and a great way to get rid of paint smell and toxics. With the use of a hospital-grade HEPA filter and an effective earth mineral technology air cartridge, this two-stage filtration is perfect to place in your indoor space to mitigate potential hazards to your health. 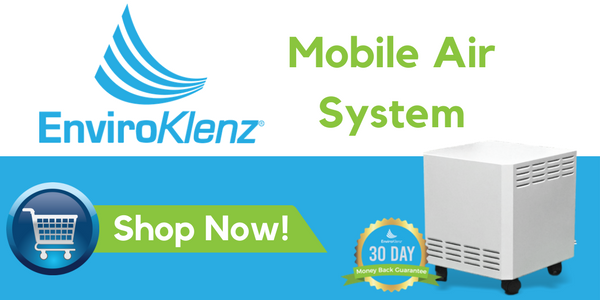 Whether you have chemical sensitivities, allergies, are just looking to improve your indoor air quality, or are looking for a paint odor eliminator, the EnviroKlenz Mobile Air System is your answer! Click below to purchase this TODAY! What is the History of Toxic Mold?